MOHAI’s wide range of hands-on, educational programs make local history come alive for students at every grade level. Diverse offerings include on-site museum field trips and off-site Portable Museum rentals, with scholarship funding support available for those that qualify. Come to MOHAI for a hands-on experience students will always remember. At the museum, classes have the opportunity to explore exhibits through self-guided activities and uniquely themed inquiry-based programs led by MOHAI educators. MOHAI’s highly facilitated, hands-on field trip programs use authentic historic materials to promote teamwork, creativity, communication, visual literacy, critical thinking, observation, and problem solving skills. All guided programs support Washington’s educational standards, including Essential Academic Learning Requirements (EALRs), Common Core, and 21st Century Skills. Guided programs are available for K–Grade 8 students, and self-guided visits are offered for all ages. MOHAI’s field trip calendar books up quickly—be sure to make a reservation early. Scholarships and bus reimbursement funds are available to schools that qualify. Reservations are required for all youth students coming to the museum. Field trips must be booked 2 weeks in advance. Cancellation fees apply for field trips cancelled 2 weeks before your visit date. miniMOHAI is specifically designed to give early learners a fun, hands-on experience at the museum, and is available as both a school and family program series. Grade Level: Pre-K and Kindergarten. Children and chaperones explore interactive pop-up activity stations together through self-guided activities that accommodate each group’s pace. Stations and activities share a common learning theme that can be extended to the classroom. Choose one of four themes (Building the City, Farm to Food, Going West, or Transportation Innovations) and three out of six stations (story time, dramatic play, math and patterns, crafts, fine motor, or large motor). Larger groups may book all six stations upon request. Visits must be booked at least two weeks in advance to guarantee availability. This guided program offers students an in-depth look at the working life of early Puget Sound residents. Grade Level: K–Grade 2. Through role-playing activities and hands-on artifact analysis, students experience the daily routines of various workers while learning how these occupations work together within a community, both in history and today. Visit includes additional self-guided gallery time. A part of the Cracking the History Code series, this guided program engages students in a game that uses real artifacts, photos, and documents to uncover historical events. Grade Level: Grades 3-5. Students investigate the challenges that faced five different groups of people traveling to or living in the Puget Sound region during its early history. Visit includes additional self-guided gallery time. A part of the Cracking the History Code series, Salish Stories focuses on the Coast Salish communities of the Puget Sound. Grade Level: Grades 3-5. Students play a game that involves listening to stories, looking at historic photos, and handling artifacts crafted by local artists to discover the culture, history, language, and lifeways of Puget Sound’s first peoples. Visit includes additional self-guided gallery time. Hands on History is a new program offering a flexible field trip option designed to engage students wherever they are on their learning journey. At the heart of the program is a facilitated, hands-on primary source and artifact investigation, with a selection of activities chosen by MOHAI Educators to tailor the experience to specifically fit your group’s needs. Choose a topic—Settling Around the Sound, Seattle Innovation & Industries, or Community Snapshots: Photographs of Al Smith—and we will contact you with questions to help MOHAI’s educators pick the best activities and resources for your group. Students investigate the important role of salmon in the Pacific Northwest in this joint program offered by MOHAI and the Center for Wooden Boats. Grade Level: Grades 4-8. Classes rotate between both locations and participate in a variety of hands-on activities, gallery exploration, and a boat outing to learn about the history of salmon as a resource and the stewardship of salmon populations today. Please note, this program requires a minimum of 2 classes (at least 30 students). A self-guided field trip is ideal for groups who wish to bring their own activity and explore at their own pace. Grade Level: Pre-K–Grade 12. MOHAI educators greet groups, offer storage for lunches and coats, and are available to answer questions throughout the visit. Activities are required for self-guided field trips, and MOHAI-made scavenger hunts are also available for use in small, chaperone-led groups. Advance booking is required to receive the field trip rate and other benefits. Due to a high demand for field trips, MOHAI has set aside a few dates in the spring for self-guided only field trips. Reservations are required. Request a field trip here. A structured activity is required—this can come from you or your class can use a MOHAI-provided activity. Paper scavenger hunts, pencils, and clipboards are available; first-come, first-served. Groups visiting during the summer can explore the museum on a self-guided field trip. Grade Level: Pre-K–Grade 12. Activities for the visit are strongly encouraged. MOHAI also offers a paper scavenger hunt, developed for a wide range of grade levels to help guide groups. However, teachers and camp counselors are urged to bring their own self-guided gallery activity to structure students’ time in the museum. Advance booking is required to receive the group discount. Regular field trip programs are not available during the summer. Self-guided and personalized guided tours of the museum are available for higher learning students and their professors. Answers to the most commonly asked questions when planning a field trip to MOHAI. Find out where to park buses and ways to navigate South Lake Union. Request to book a field trip at MOHAI and discover history in new ways. Each year, over 200 schools from over 30 school districts participate in MOHAI’s school-based education programs. Costs associated with visiting the museum can create barriers for some schools and educational groups, though. MOHAI’s educational scholarships help provide greater access to the museum and the history of the Puget Sound region. MOHAI offers scholarships to schools and student groups for both field trips and Portable Museum program rentals. The scholarship program serves learners to ensure no student is ever turned away because of financial limitations. 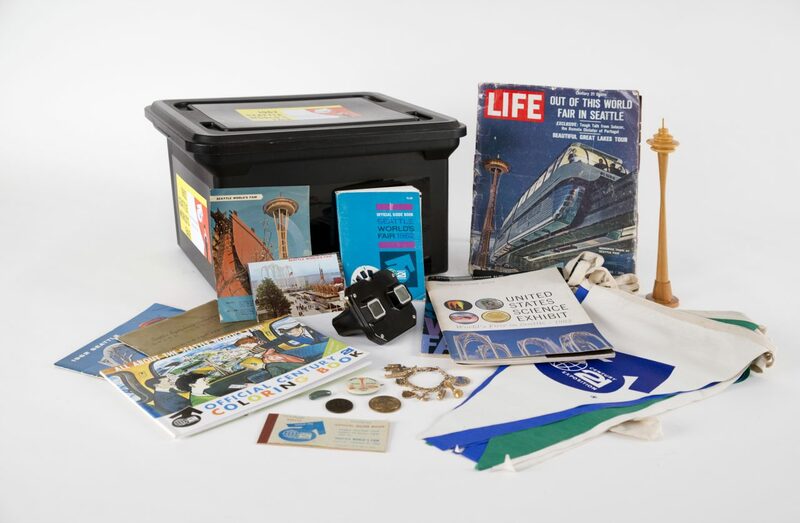 MOHAI’s Portable Museum Program provides hands-on learning to students using primary source materials, as well as standards supporting lesson plans and additional content for educators. 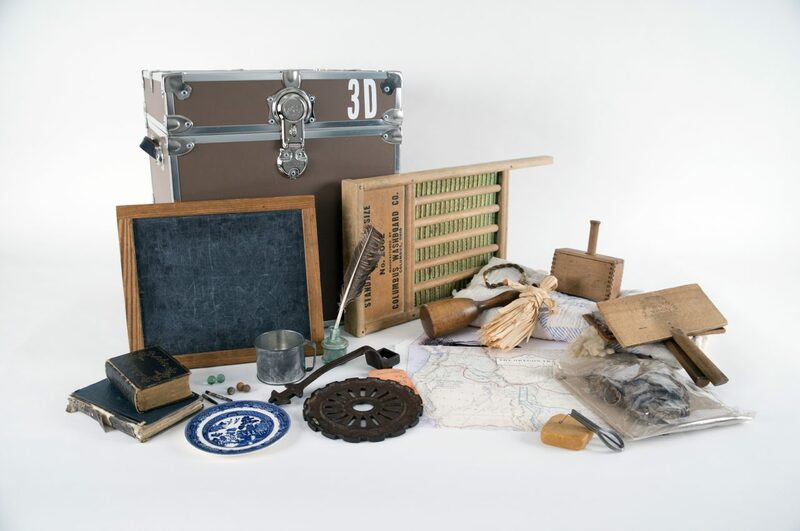 Portable Museum Trunks and Kits can be booked alone or paired with a MOHAI field trip. 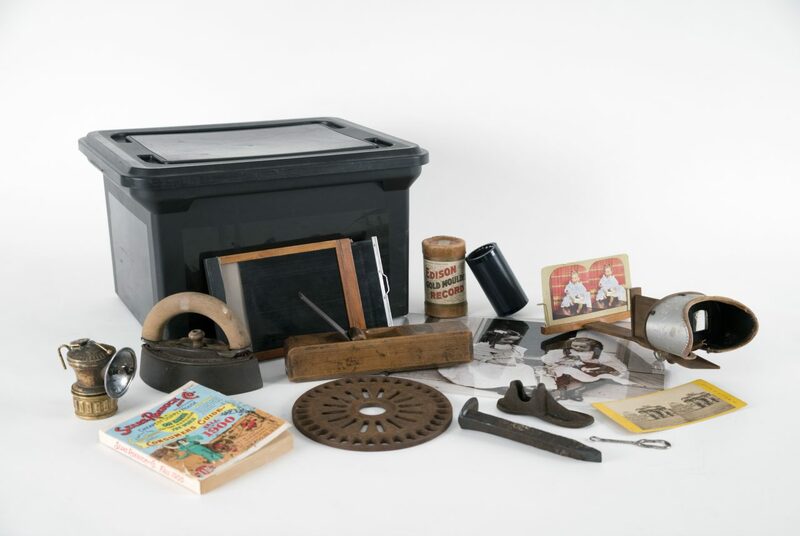 Portable Museum Trunks and Kits contain artifacts, historical photographs, documents, slideshows, digital media, and an extensive Teacher’s Manual with lesson plans and activities that can be modified to meet individual class needs. Trunks cover more expansive content areas and include two weeks’ worth of lesson plans. Kits include fewer, more targeted lessons focused on particular topics. Lesson plans target specific grade levels depending on the trunk or kit topic, but contents are suitable for all ages of K-12 students and materials can be adapted to any grade level. Portable Museum rentals must be scheduled a minimum of two weeks in advance. Late change and cancellation fees apply. 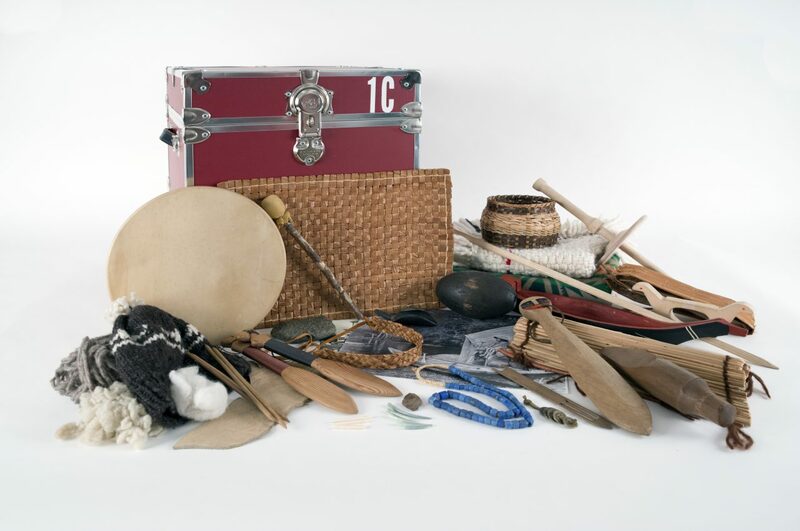 EALR alignments: Grade 5 — Explore the rich cultural history of the Coast Salish people of the Pacific Northwest, through art, stories, historic events, and the objects of daily life. Coast Salish communities have a unique and deep history in the Pacific Northwest. Through independent and collaborative primary resource investigations of authentic materials from native communities, students learn about Coast Salish life in past times and today. Cost: $50 for two week rental; $25 per additional week. Late returns are subject to a fine. EALR alignments: Grade 4 — Explorers from around the world came to the Pacific Northwest to trade. Students learn about who these pioneers were, how they traveled, and what they traded. Explorers embarked on perilous journeys to chart territory and trade for valuable items. Students learn who notable explorers were, what drew them to the Pacific Northwest, and how they navigated through waterways and over land. Primary resources guide collaborative investigations that challenge students to see a new perspective and engage in hands-on learning. EALR alignments: Grade 4 — The Oregon Trail brought many people to the Pacific Northwest. Learn about the daily life of early settlers and the reasons that ultimately brought them out West. Settlers who came to the Pacific Northwest along the Oregon Trail made the journey for many different reasons. Students use artifacts and other primary resources to study the people that made the journey, what motivated them, and what day-to-day life was like. In addition, students discuss the complex early encounters between settlers and the Native American communities already living here. EALR alignments: Grade 3 — The Pacific Northwest experienced significant growth and change in the Pacific Northwest between 1870 and 1910. Students uncover innovations in daily life and industry. Daily life changed as innovations were made in household chores, food, homes, and transportation. Students dive into an interactive investigation of day-to-day life during these years, comparing and contrasting the changes that shaped the growth of this region. EALR alignments: Grade 7 — World War II brought global distress, but how did these events shape Seattle? Through artifact investigations, students explore the home-front experience. The home-front experience during World War II brought many changes to daily life in the Pacific Northwest. 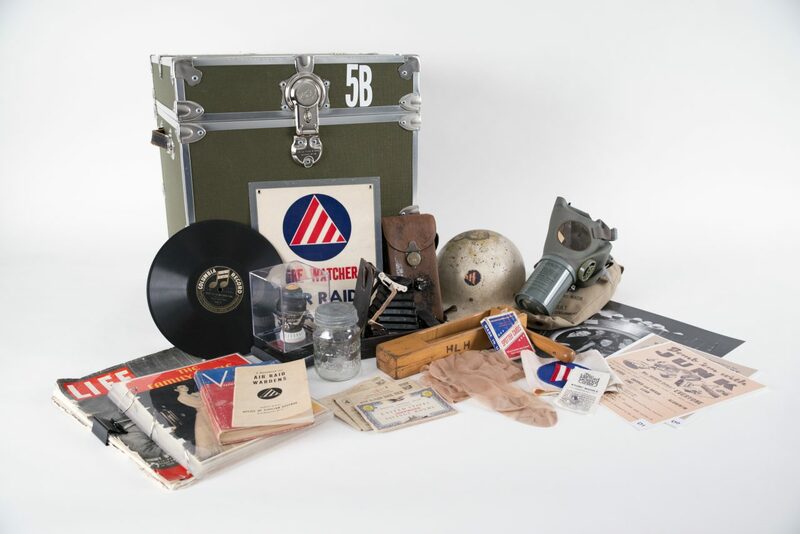 Students use primary resources to investigate workforce changes, the effects of rationing, and how each person was urged to “do their part.” This trunk also includes an introduction to Japanese American Internment and recommendations for additional resources on this topic. Grade Level: Recommended for Pre-K–Grade 1 — Discover the history of Seattle through the Great Seattle Fire in 1889 using artifacts and an interactive story. 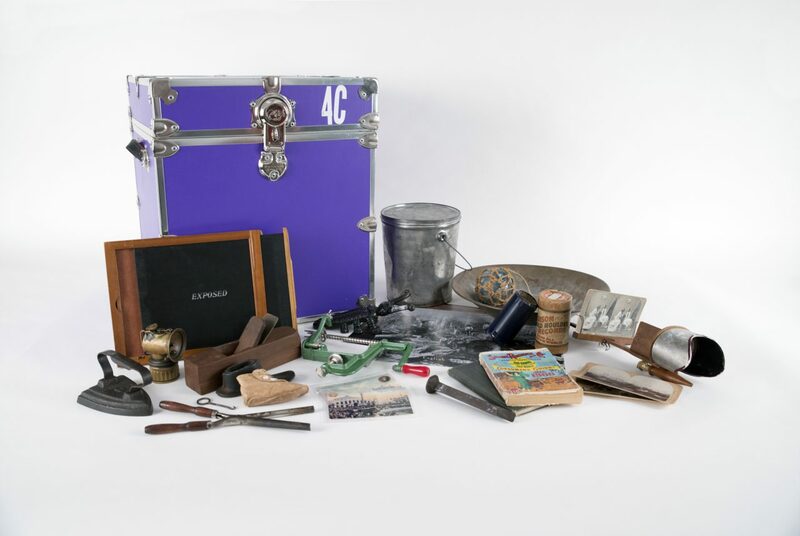 This Kit introduces students to basic artifact analysis, and tells the history of Seattle using objects from the era. 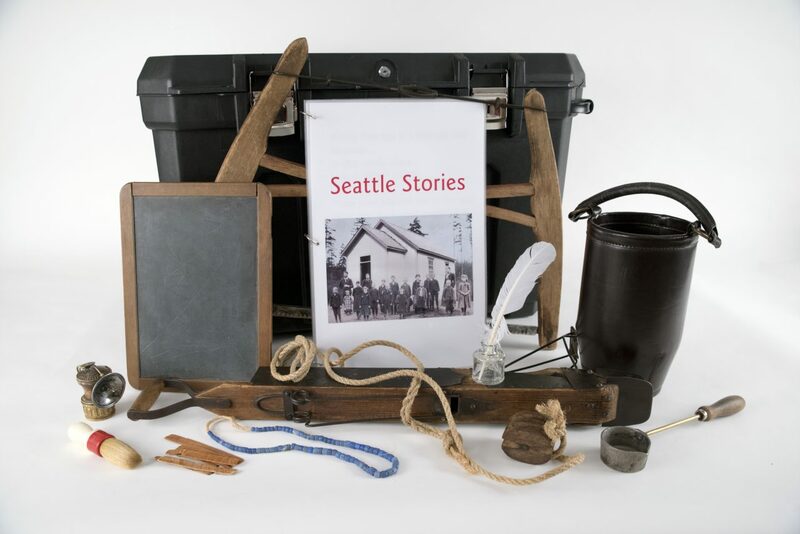 Students make and share their objects as part of an interactive story and learn the history of Seattle from settlement through the Great Seattle Fire. This lesson takes approximately 40 minutes and includes additional extension activities using the artifacts. Cost: $30 for 2 week rental; $15 per additional week. Late returns are subject to a fine. Grade Level: Grade 4 — The years from 1870-1910 marked a time of change in the Puget Sound region. Discover the innovations and industries that altered the way Washington residents lived their everyday lives. Use primary sources to dig deeper into years of rapid growth and change in Seattle’s past, and learn what daily life was like for early settlers during the time of railroad expansion, the growth of many industries, and the Great Seattle Fire. This kit is a smaller variation on the Years of Growth & Change Trunk, and was developed in partnership with the Bellevue School District specifically for use with the Dig Deep and People on the Move Classroom-Based Assessments. Kit is available to all school districts July 1 through February 28. The 1962 World’s Fair was a pivotal turning point for Seattle as it gained global recognition and made iconic changes to the physical and cultural landscape of the city. Students analyze the history, context, and broader cultural themes of this significant event, as well as the differences between it and the Alaska-Yukon-Pacific Exposition of 1909. Grade Level: Recommended for Grades 5-8 — Examine the maritime history of Puget Sound, nautical communication methods, shipyards, and navigation. 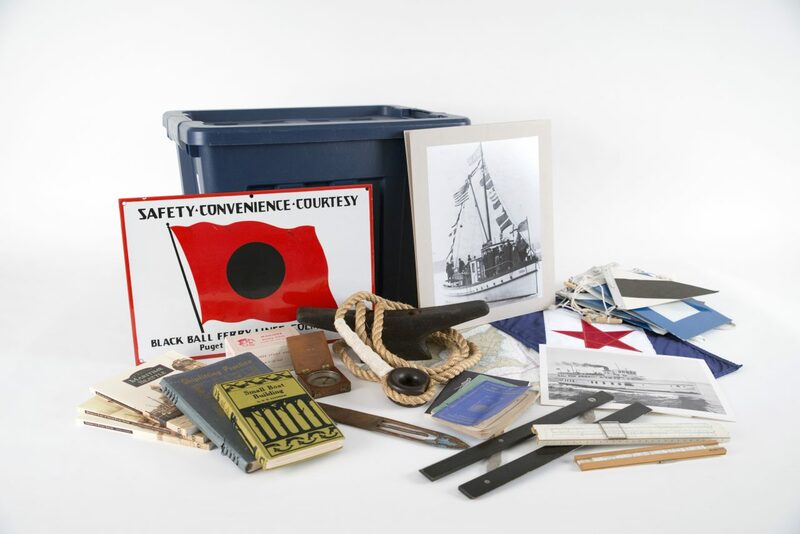 The Maritime Kit is offered in partnership with the Puget Sound Maritime Historical Society. Topics include the history of trade and immigration, maritime signal flags, knot tying, and nautical charts. Students develop skits, complete an art project, go on a treasure hunt, and more. Cost: $30 for 2 week rental; $15 for additional week. Late returns are subject to a fine. The Digging the Lake Kit is offered in partnership with the Puget Sound Maritime Historical Society and the Center for Wooden Boats. The construction of Lake Union was an integral part to the economic development of Seattle. 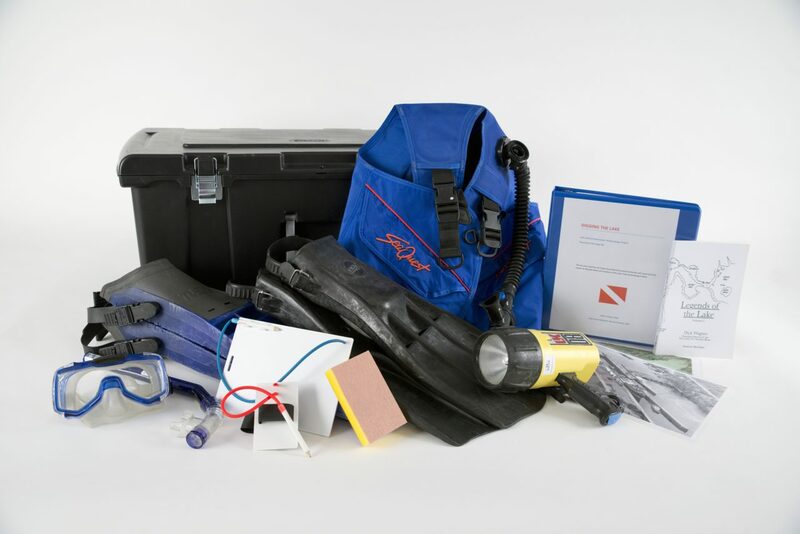 Photos, videos, maps, suggested activities, and even real dive gear help students to learn about methods of historical research, and the role of underwater archaeology. By practicing primary source analysis and examining film clips, students consider the intentions behind films and whether they are meant to be true representations of people and events or dramatic reinterpretations. Students then consider what kind of film they would create to tell a historical story, and work in groups to develop a film project. Students investigate the intentions behind films, the legitimacy of representations and interpretations of people and events during primary source analysis and examining film clips. Students then consider what kind of film they would create to tell a historical story, and work in groups to develop a film project. Answers to the most commonly asked questions when when booking a Portable Museum Program. 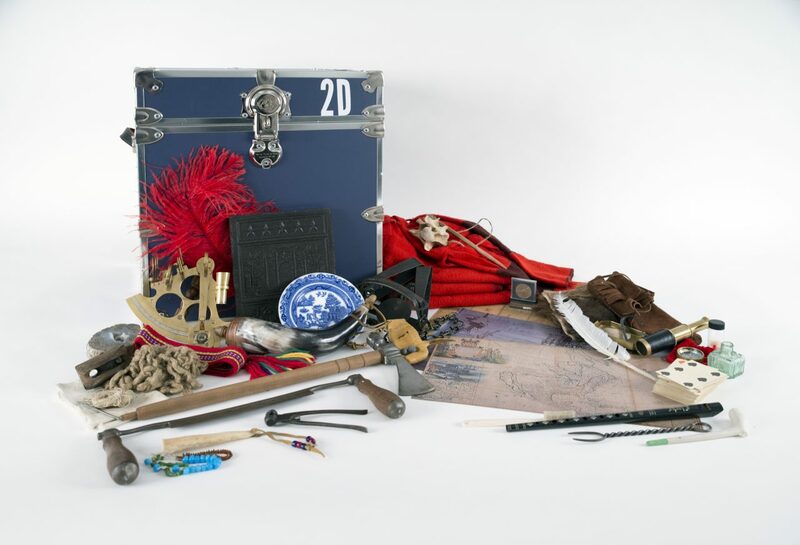 Make history come alive and request a Portable Museum Trunk or Kit. Get updates about professional development events and other opportunities for teachers and educators. MOHAI is a great resource for all students and educators. Looking for classroom or professional development tools? MOHAI offers pre- and post-visit materials, online curricula, and special opportunities just for educators. Use history curricula made by MOHAI educators in the classroom. MOHAI offers many other resources for educators to improve their in-gallery and in-class experiences. From special Educator Nights to other professional development events, MOHAI has many opportunities for teachers and educators. Thank you to these generous sponsors for supporting MOHAI’s educational programming.